Stunning bouncy castle and the same as our other party castle but without the rain cover therefor allowing it to fit in most village halls. 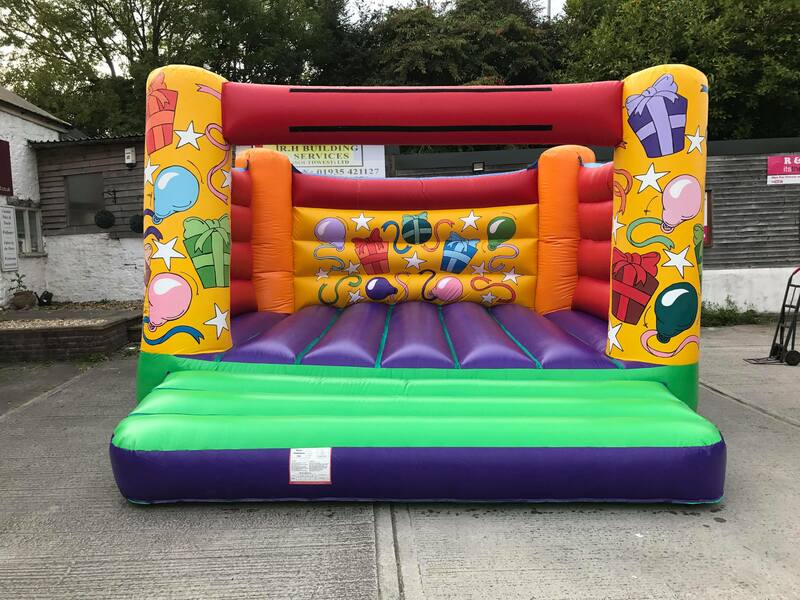 New for 2018 and please note we are only allowing this bouncy castle for indoor use at present. It's the responsibility of the Hirer to ensure that all reasonable measures are taken to avoid injury or cause damage to the equipment. No equipment is considered booked out until the necessary 25% deposit has been paid. If this has not been paid before the day of hire, R&R Entertainment reserve the right to cancel without notification. The Hirer shall be deemed to have inspected the equipment and to have agreed that it is supplied in good working order unless he/she brings it to the attention of R&R Entertainment within one hour of coming into possession of the equipment any faults noted by the Hirer. AT THE END the Hirer is completely responsible for making sure the equipment can be collected in a clean & tidy condition otherwise R&R Entertainment shall be at liberty to make an additional charge for cleaning. If the Hirer fails to return the equipment in a clean & tidy condition R&R Entertainment will charge the Hirer �25.00 for the cleaning service. We currently carry �5,000,000 Public Liability Insurance which covers us for staff negligence and equipment fault subject to the Terms & Conditions of the contract being complied with.